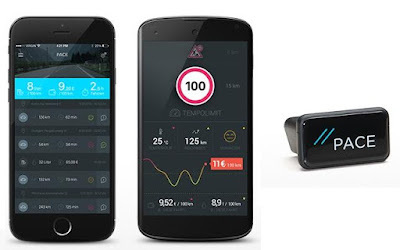 To make your ride more comfortable and high tech we present you these smart car gadgets. Traptap: Traptap is a stylish wireless button that sits on your dash and acts like your personal co-pilot, and alerts you of speedtraps, cameras, and school zones. It knows the location of every camera and school zone yet it relies on its crowdsource to mark the mobile and radar location. It uses different colors to alert you, and is designed to save you cash. Reserve Now: $89. Auto Car Cover: The Auto Car Cover is an automatic car cover that makes covering and uncovering easy, all with the press of a button. 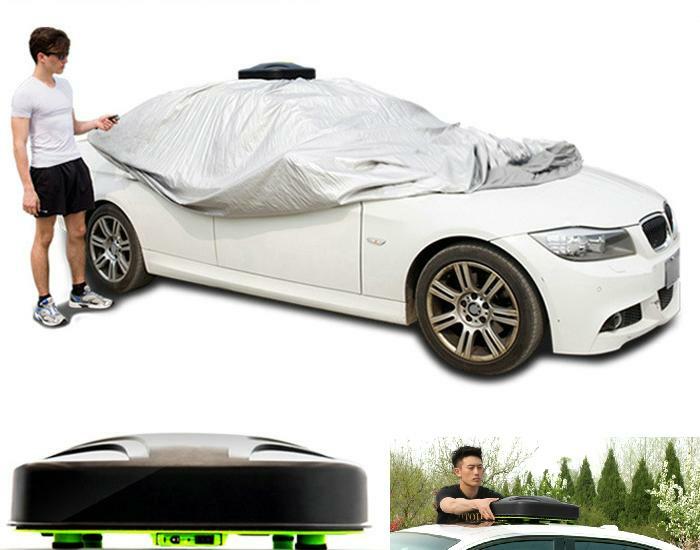 Just place the device on the top of the car and use its remote to cover or uncover the car. This rechargeable device features high tech coating for weatherability, and can work with temperature up to 176 °F (80 °C) to protect your car. Buy Now: $230 - $240. 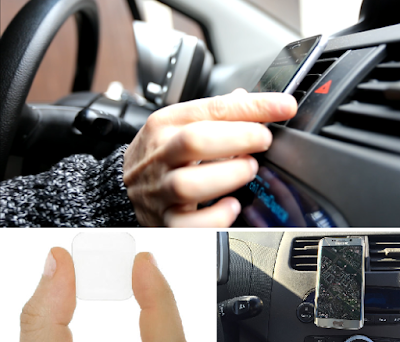 TinySticky: TinySticky is a super sticky, double sided stickypad that makes it an instantaneous car smartphone holder. This 2x2 cm sticky provides a complete grip between the dashboard and your smartphone and leaves no residue. 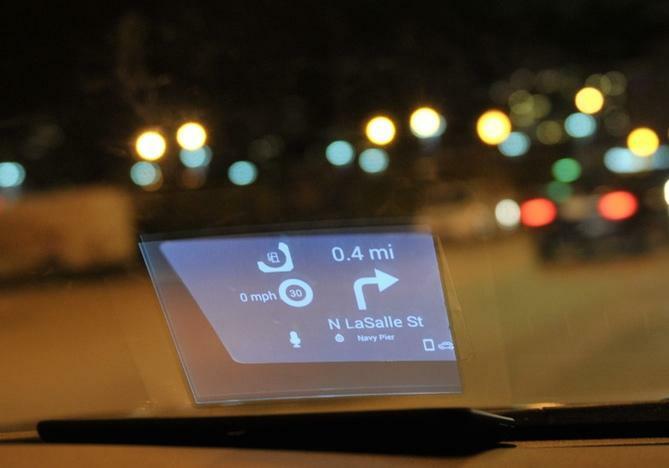 Place it on your dashboard and start using your smartphone's navigator comfortably and safely. Reserve Now: $5. 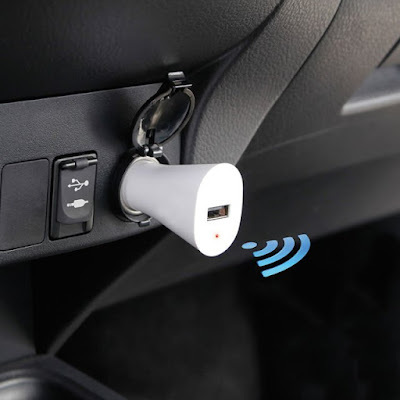 Bluejay: Bluejay is a smart holder for your car that connects your phone to your car via beacon technology and an integrated mobile app. Its designed to keep you less distracted while driving. It features multi-axis system that lets you simply adjust Bluejay until your smartphone is placed perfectly. It's made from carbonfiber and high-grade aluminum, and can be placed using its adhesivepads, an air vent clip and a suctioncup. Just stick the thin metal plate to the back of your smartphone and its powerful magnet holds your smartphone securely. It connects to your smartphone via a Bluetooth LE. And if you forget where you've parked, no issues, Bluejay uses a combination of Bluetooth Smart and GPS to guide you back to your car, even when there is no reception available. And if you cant find your smartphone, just double-tap Bluejay and your phone rings. As soon as you place your samrtphone on Bluejay, it launches a dedicated driving app to make your driving experience less distracted. Whether you want to make a call, change a song, or find the nearest parking lot, Bluejay gets you there in three taps or less. To stay safe on road it features "do-not-disturb" mode and "take-a-break" notifications. And in an uneventful situation, it lets you reach assistance with its pre-programmed SMS/ call. It integrates with multiple on-demand music services like Spotify, Apple Music and SoundCloud, and more. And if your car stereo supports Bluetooth or AUX, its app can play music through its speakers. It makes getting around a whole lot easier, reminds you about your next meeting, makes calling and texting easier, provides personalized car insights and more. It's compatible with iOS and Android. Buy Now: $99. 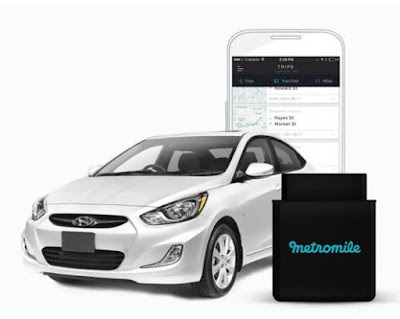 Metromile: Just plug the Metromile Tag into the OBDII port of your car and it accurately measure mileage and can save a ton of money with pay-per-mile insurance. Like most of us (65% of the US), if you drive less than 200 miles per week you can save $500. The monthly car insurance bill is based on the miles you drive. More info. 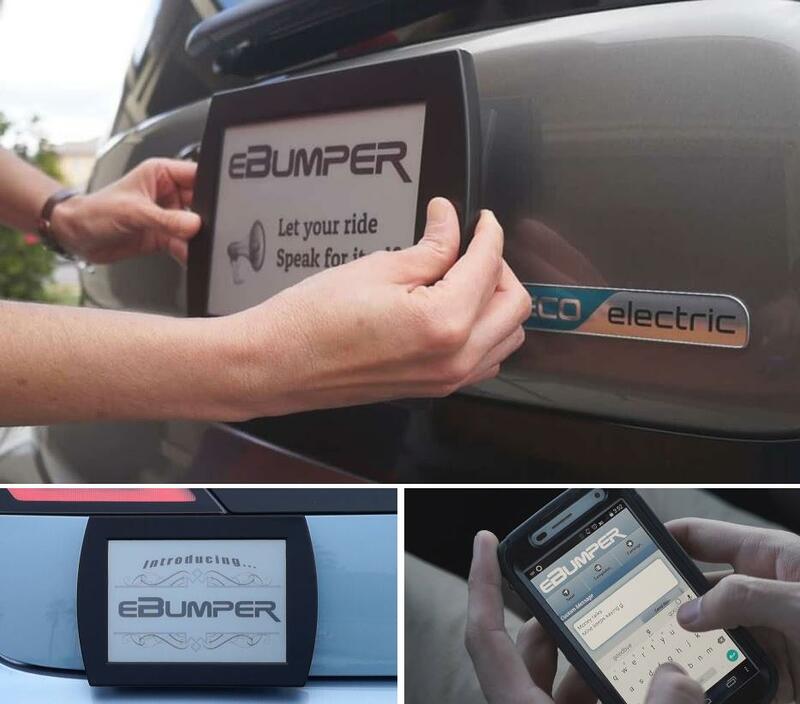 EBumper: eBumper is an automotive display that you can control using your smartphone. Use it to promote your business, share your viewpoint, or update your followers on social media. This E-ink display connects to your smartphone via Bluetooth 4.0 LE. Reserve Now: $219. 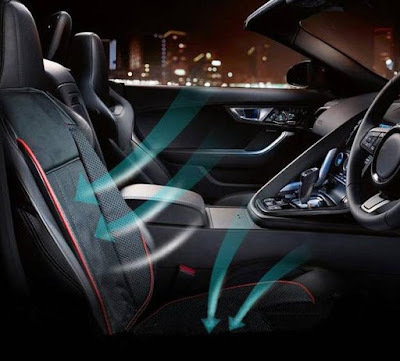 Viotek Heating and Cooling Car Seat Cushion: Now enjoy the luxury of comfortable seating in your car the way it's available in super luxury cars. The Heating and Cooling Car Seat Cushion makes your long drives more comfortable. Buy Now: $305. Inflatable Cover For Your Car: It uses a constant airflow system to create a barrier around your car, when activated via remote. It installs in between 5 and 8 minutes, depending on the size of your vehicle and system size. Its app is driven by its own proprietary weather data engine, that provides a real time forecast and alerts you in advance at your locations across the USA. 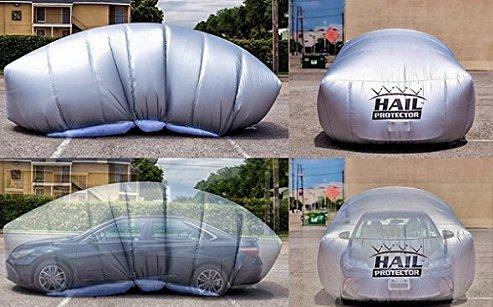 Apart from this, the Portable System of Protection does all the things a regular car cover does to protect your car. Buy Now: $399. 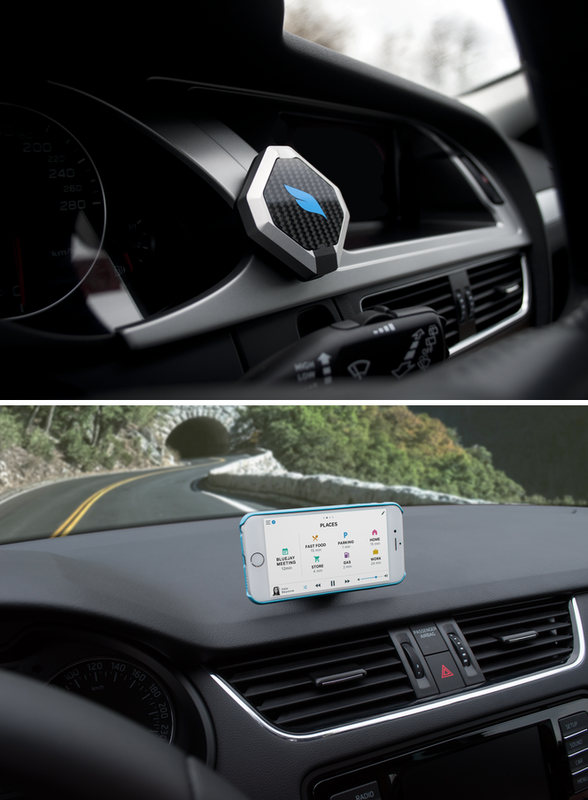 Pace: Pace needs to be plugged into OBDII port of your car; it connects to your smartphone via Bluetooth and makes your drive safe, less stressful and saves you money. It's compatible with iOS and Android. More info. 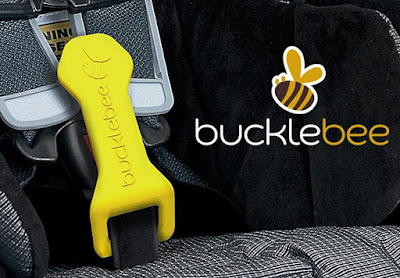 Bucklebee: Bucklebee makes unbuckling the car seat easy for kids. Buy Now: $14.5. 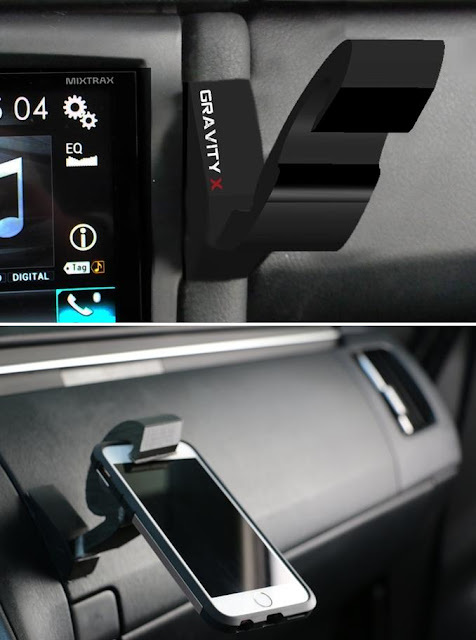 Gravity X: Gravity X is simple to set up and provides a smarter way to hold your smartphone in your car. More info. 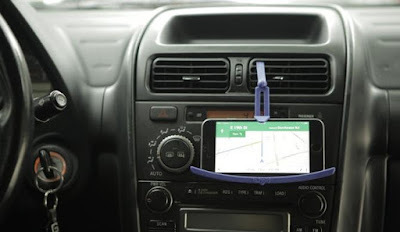 Bsteady Car Holder: It features a 360º vent clip and universal curved design that secures any phone in any car. Buy Now: $39. 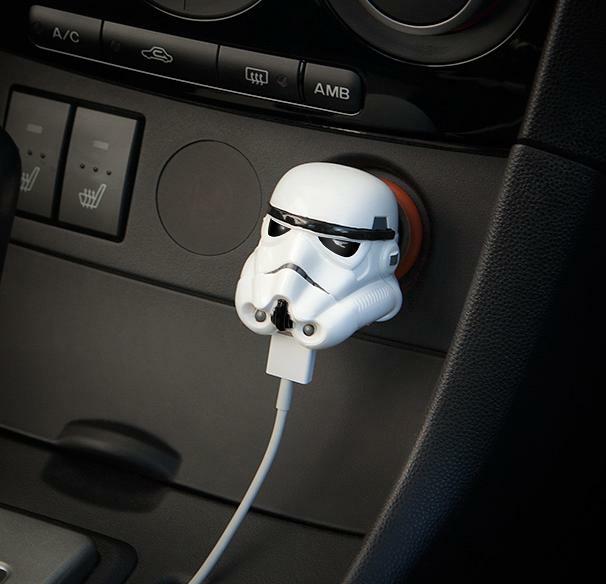 Dark Side USB Car Recharger: This Dark Side USB Car Recharger needs to be plugged into your 12V vehicle power socket, and it provides 2.1 Amps for your smartphone, smart device or any other USB compatible device. Buy Now: $19.99. Carloudy: Carloudy is a smart wireless head up display for your car that provides you with the necessary information for your on-road experience. It connects to your smartphone via Bluetooth, features transparent display and voice control, and works perfect under bright light and in evenings. Just place Carloudy on your dashboard, and it displays information directly in front of you on your windshield, provides turn by turn navigation from Google Maps and more. It makes driving with smartphone safer and more convenient. What more, you need to recharge it every two weeks. Pre-order: $259. Automatic Parked Car Finder: The Automatic Parked Car Finder plugs into a car's power outlet and when the car's engine is turned off the device automatically marks the location of your car on its iPhone app. When it's time for you to return to the car, all you need to do is check the app for your automobile's location on the map. Every location has time and day stamped to make things easy for you. It also features USB port built-into the beacon that allows you to recharge your smartphone or other gadgets. Buy Now: $50.